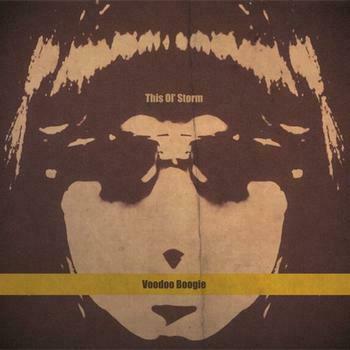 Voodoo Boogie - "This ol' Storm"
Voodoo Boogie is a new four piece Belgian rock band. This is the bands third release, having released an EP in 2006 and their first full length record in 2008. First off I have to say that this record has a really great sound production and feel so hats off to Rob who mixed this. The first two tracks are really cool stuff but then the third track is something different and the singer sings with this falsetto voice that I really don't like. Music is pretty cool and groovy and organ driven but the vocal drives me crazy. Summer Callin' is a short bluesy 2 1/2 minute uptempo track with a thumpin' bass groove. Reconsider is a nice Fender Rhodes driven bluesy track with a laid back groove. At the end of the track it gets all dreamy with some nice wah guitar. Rain Keep Fallin' is a real foot stomper with a distorted in your face vocal. It gets a bit psyched out in the middle of the track before coming back to it's main frame of reference. Electric Kissing comes back to that same sort of laid pack piano groove with the falsetto voice again. Not my thing, sorry to say. Wild Night, Full Moon is a really cool track with a psychy guitar, freaky vocal and great organ sound. Takin' Me Home is another really cool slow building organ driven Blues track that I could hear the band really jamming out. I love this track and a nice organ solo! Leave Me Be is a bit more slick and a more straight track but it does features some more in your face guitar and a nice mid section with a totally different direction and nice electric piano and then back into the organ. The End Of My Day is a short vocal and hand clap track that ends this pretty excellent CD.